While selecting gift items for our near and dear ones, you might often face a huge dilemma. Among the huge variety of gift items available to choose and buy from, you shall get confused and cannot decide. You might have to think and rethink several times before locking down on an item to buy. 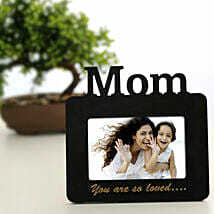 Keeping that in mind and trying to erase the dilemma, we suggest you to consider photo frames as gifts to be resented. Photo frames can be personalised too. And if you want to present someone living in Lucknow, we shall help you to send personalise photo frames to Lucknow though our website. . Our website also offers you the option to send birthday gifts for girlfriend. What is the method to freeze time in a snap and preserve it forever, so as to cherish sweet memories afterwards? Yes, photographs. And some photographs become extra special and are worthy to be put in frames and put up on the wall of your living room or on the bedside table. 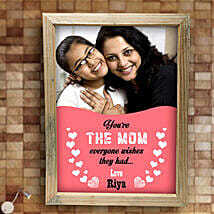 Thus, photo frames can be important and apt as gifts which can be presented to your near and dear ones. The current trend of online gifts makes things even easier. You can send personalised photo frames to Lucknow online through our web portal.